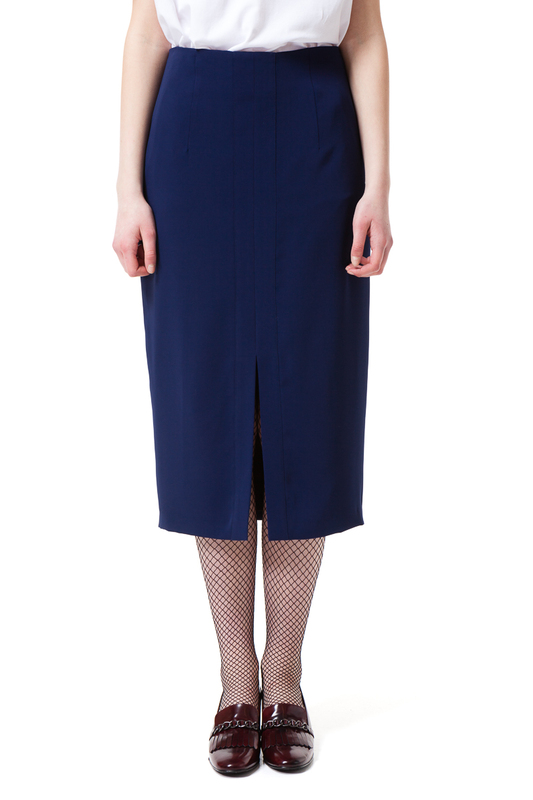 Dark blue pencil skirt. Featuring front split and concealed zipper at the back. Wear it with a blouse or a jacket in the office, or combine with a comfortable T-shirt and sneakers for a lovely weekend look.